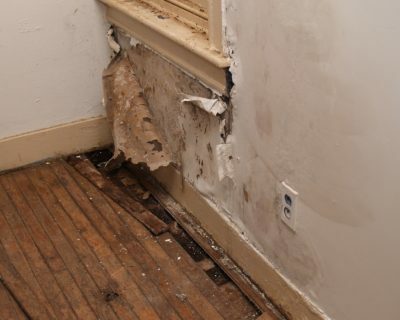 Water damage is the result of various disasters. A crazy storm floods your property. Your roof leaks as it rains. The fire department came and saved a burning part of your home. The pipes broke. You see, a ton of things can happen. Situations can get out of hand. Whatever the cause of water damage, we’re here to help! The team at StormPros is ready to respond wherever there’s an emergency flood in Allen. If you’re in this situation, call us. We’re able to determine the presence and extent of damage using specialized equipment. Our tools detect moisture levels. Next, we’ll explain to you the current situation of your property. Then we create a solid action plan. What follows is water extraction. After water is removed from your property, we thoroughly clean and dry everything from your walls to structures. If removed anything from your home or building because we cleaned it, we put everything back in its proper place. If you need to file an insurance claim, we assist you throughout the process. We document evidence of damage and work closely with your insurance company. We are transparent in our methods. Clients appreciate the fact that we explain our processes and answer all their questions. StormPros is locally owned and operated. Our local presence means that we rush to your aid and are accessible when you need us. Get your FREE ESTIMATE today. Call StormPros to end your water damage problems: 214-227-2763.